China's burgeoning place in tablets and phones should not be underrated according to chip giant ARM, and nobody should be pigeonholing the world's biggest nation's products as cheap and nasty. Because ARM's chip designs are so prevalent in the mobile market across both tablets and phones, the British company is in a unique position to discuss the rapidly evolving electronics market. 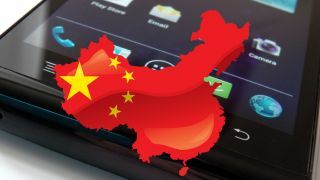 Speaking to TechRadar, ARM's Steve Steele – senior product manager in the media processing division – suggests that China, along with Korea is at the forefront of aggressively pushing through the latest cutting edge technology in its products. "It tends to be the aggressively innovative folks out in Asia [driving this trend]. "There is definitely a shifting audience and you should not underrate the capability of these new Chinese electronics companies. "They are very agile and very capable. For example, you are seeing high-end TVs with unfamiliar brand names but in some cases they are great products that match anything that we have over here." The tablet market is currently proving to be phenomenally exciting, with aggressive pricing and real innovation, and we should not write off China's capability in this are either according to Steele. "In the tablet market of course they have the cheap low-end products, but also all the way up to the high end tablets," he said. "There's a problem with brand awareness but, as other companies have shown, that can be overcome."